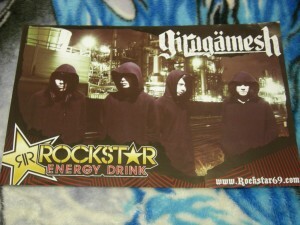 Girugamesh / Gilgamesh poster from Rockstar Energy Drink, available at Sakuracon 2009. A great addition to your Jpop collection! This auction item available only in United States and Canada. Okay, so Sakuracon is happening RIGHT NOW and you couldn’t make it and you wish you were there. 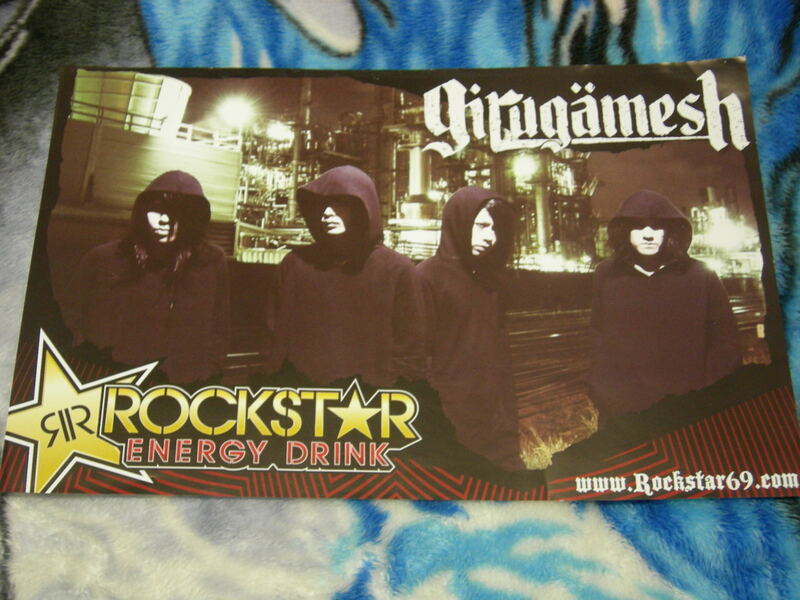 Why not get thiis wonderful poster for your wall, as a reminder of great events from Sakuracon’s past and a tribute to one of the finer Jrock bands in recent memory? Or if you’re going to see Gilgamesh at Boston or New York, consider this as a nostalgic accompaniment to whatever merch you buy from their current shows, adding a nice historical perspective to their U.S. appearances!